We create style-driven apparel backed by technical functionality and social conscience. Each one of our product is designed and created with a focus on fashion, fit and performance. We ensure that our selection of fabrics are specially created and tailored for your active life. We innovate our styling to reflect the latest fashion, combining these new designs with the best performance fabric to provide you with smart, technical, and quality wear. Our designs blur boundaries between the gym and street wear, elevating your fashion style wherever you go. All of our garments are designed with you in mind. 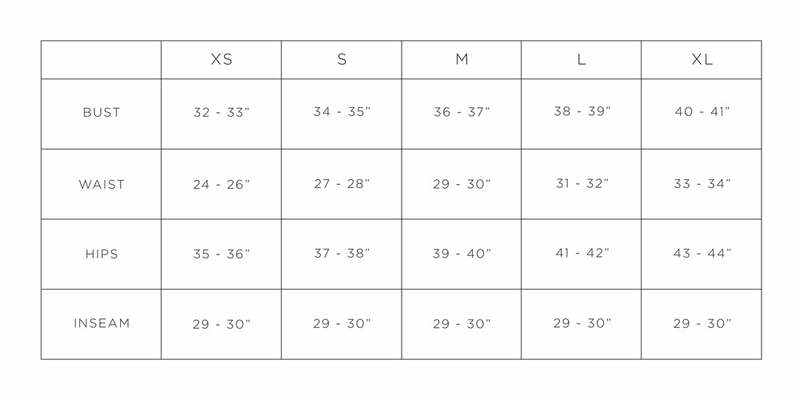 We have prepared a fit guide as well as support levels so that you can accurately reference our garment fit for your activity. We have specifically chosen and developed our fabrics collection to offer technical performance that you expect out of our active collection. Our focus is to provide you with the right kind of support so that you can focus on your activity of choice. Please refer to the fabric collections pages for more details.